These are the final posting dates for Christmas, so don't be late! Now that we're into December, you're probably starting to plan who to send Christmas cards to, and putting together your list of presents to order online (unless you're one of those people who have it all sorted by October, you clever folks). But if you're wanting to make sure your post arrives in time for Christmas, you'll need to note these dates in your diary. The Royal Mail has confirmed its recommended cut-off dates for international and domestic posting, including 1st and 2nd Class mail. The last day for posting a 2nd Class delivery is Wednesday, December 20. For first class mail, the date is Thursday, December 21. For posting abroad, airmail to Africa and the Middle East has a recommended postal date of Saturday, December 2. So, you'll have to be quick! The busiest week of the year for mail starts on December 11, when the Royal Mail will deliver to around 30 million addresses in the UK. 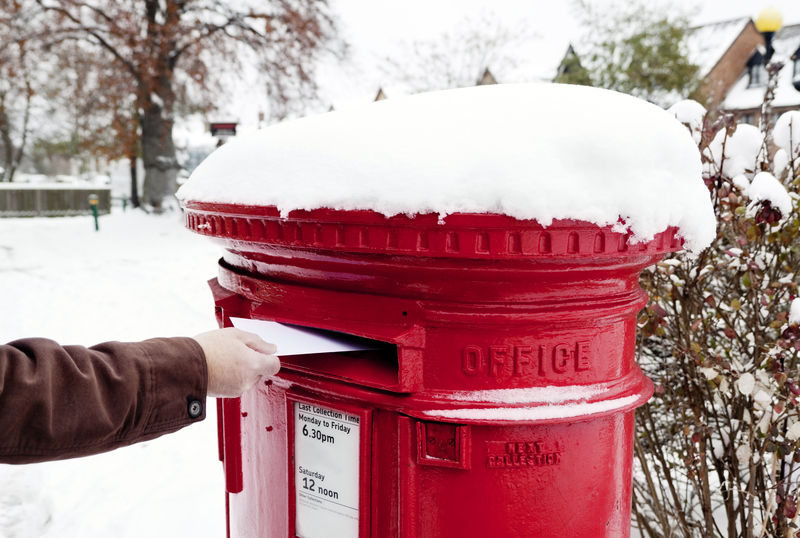 Wednesday, December 20 for 2nd Class delivery and Royal Mail Signed For 2nd Class. Thursday, December 21 for 1st Class, Royal Mail Signed For 1st Class and Royal Mail Special Delivery Guaranteed. Friday, December 22 for Royal Mail Special Delivery Saturday Guaranteed.